Ever dreamed of being a millionaire? Here’s your chance! 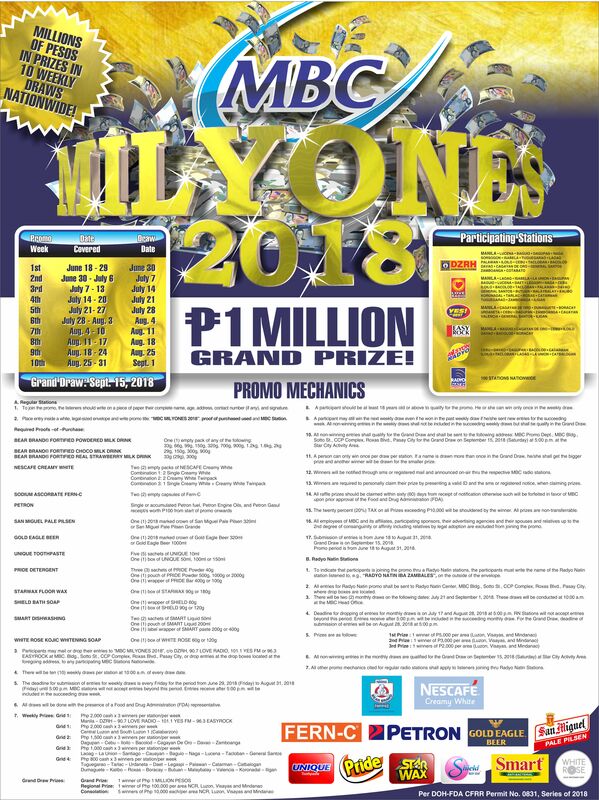 The biggest and grandest promo ‘MBC Milyones 2018’ will be giving away millions of pesos in prizes in 10 weekly draws nationwide! Participating stations include DZRH, Love Radio, Yes The Best and Easy Rock networks! Interested? Promo mechanics are in the photo! Join now!